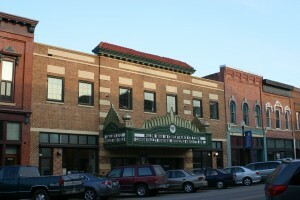 The theater in Faribault was originally an opulent opera house that was destroyed by a fire in the 1920’s. Somehow this seemed fitting as our play has a theater fire. Several incarnations later the theater became the home of the Paradise Center for the Arts. 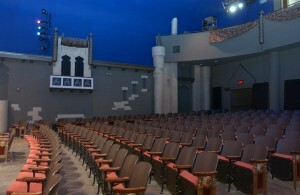 It can seat over 375 in the historic Bahl Family Auditorium. If you want to read more about the fascinating history of this theater, click here. The Merlin Players are a semi-professional, non-union theater company that is located at the Paradise Center for the Arts. Recently chosen as the best theater troupe in southern Minnesota by Scene Magazine, the Merlin Players, in partnership with area high schools, also provide learning opportunities for student audiences, actors and technical staff through their student intern program. Under the guidance of founding Artistic Director Julianna Skluzacek, this regional theater has attracted audiences and talent from Owatonna, Faribault, Northfield, Waseca, the Twin Cities, Albert Lea and Rochester for the past 19 seasons.